Whenever there's trouble, we're there on the double, we're the Bloodhound Gang! If you've got the criiiiiime, we've got the tiiiiiime, we're the Bloodhound Gang! When people started talking about a music group called the Bloodhound Gang, I was always confused, because this group of kid sleuths from "3-2-1 Contact!" was what I thought of (Watch the "3-2-1 Contact!" theme and opening credits here.) According to Wikipedia, the band named themselves after the kid segment! Rock on! Sad news, though: According to the OTHER Bloodhound Gang's Wiki entry, the segments were discontined after one of the three young stars, Marcelino Sanchez, died in 1986 at age 28. His Wiki entry says it was of "AIDS-related cancer." He also had roles in "The Warriors" and on "CHiPs." Ha! As soon as I saw the van I knew they were going to get locked inside and have to make a pinhole camera to see where the bad guys were taking them. We were just talking about this at work the other night. We were explaining what "The Great Space Coaster" was to some young whippersnapper and someone brought up the Bloodhound Gang. On a related note, in 5th grade I had to watch and report on a certain amount of PBS shows per week. 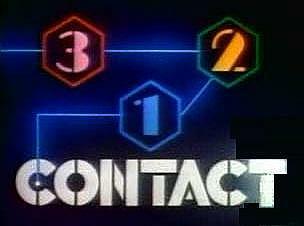 Mostly I watched 3-2-1 Contact and Doctor Who. I loved this show - used to get the magazine and everything. And, yes, I still know all of the words to the intro, too.